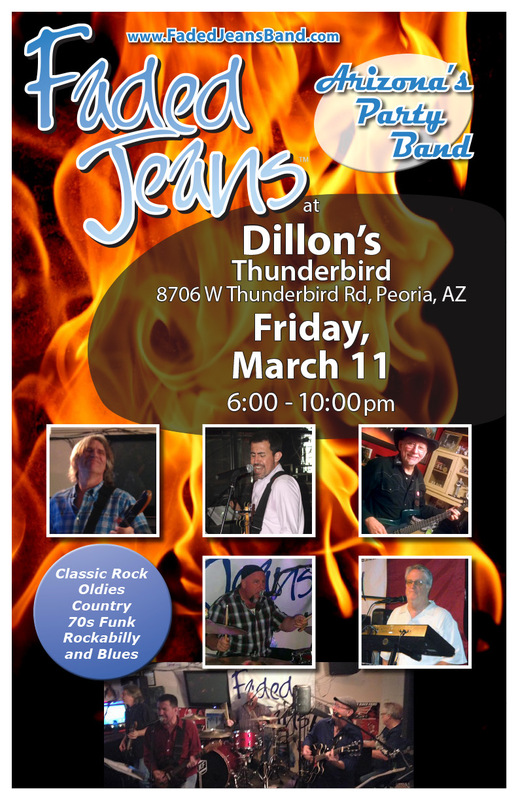 Friday: Amazing BBQ + YOUR Party Band! | Faded Jeans – Arizona's Party Band! ← Kimmyz on Greenway–the Way to Party with FJB! Friday: Amazing BBQ + YOUR Party Band! This entry was posted in Updates and tagged Dillon's Thunderbird. Bookmark the permalink.